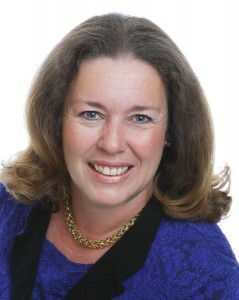 As Chairman and CEO of CorePurpose, Inc., Joan leads an organization that focuses on Fortune 500 companies as well as emerging industry leaders to deliver sustainable results by combining the experience, skills and talents within teams to create focused business environments that maximize innovation, growth, profitability and return on investment. The company, which she founded in 2002, includes three divisions – CorePurpose Publishing, Business Advisory, and the CoreAlliance, a portfolio of 45 expert organizations specializing in Human Resources, Sales & Marketing, Operations, Finance and IT. Active in the entrepreneurial and investment communities, she serves as President and CEO of the Arizona Bioindustry Association (AZBio) and leads the fastest growing healthcare and bioscience industry in the United States. She also serves as Chairman of the Board of the Opportunity Through Entrepreneurship Foundation (OTEF) which provides entrepreneurial education, mentoring and support to at-risk members of the community and in 2014, partnered with AZBio to create D3Bio, with a mission of supporting life science innovation and life science innovators along the pathway from discovery to development to delivery. Ms. Koerber-Walker also serves on the Advisory Board of CellTrust Corporation in Scottsdale Arizona. CellTrust is a leading provider of Secure Mobile Communication and Mobile Aggregation for Healthcare, Government, Financial Services, and Enterprise across 200+ countries and over 800 carriers and mobile operators. From December 2006 to December 2008, Joan served as the CEO of ASBA (the Arizona Small Business Association) a 3,000 member entrepreneurial business organization representing over 200,000 employees across the state of Arizona and as a member of the Board of Trustees of the National Small Business Association in Washington D.C. She and her team of talented executives delivered economic development support, business connectivity, educational services, premier business events, public policy direction, and risk management solutions to business along the growth path. In 2004, she was recognized by the Stevie Awards, the “Oscar” for women entrepreneurs as one of the leading entrepreneurial women in the United States and again in 2007 as one of the nation’s leading small business executives. Prior to founding CorePurpose, Joan’s career includes two decades of experience in technology distribution where she held a wide range of positions in Management, Marketing, Sales, and Operations. She was instrumental in the development of Avnet’s ASIC/FPGA business and the launch of Avnet’s first Telesales operation. While directing the Global Supplier Contracts process for Avnet’s three operating groups (Electronics Marketing, Applied Computing and Computer Marketing), Joan worked closely with over 700 technology partners worldwide and is experienced in the challenges and the joys of working in the global business arena from cultural, operational and legal perspectives. Having a track record for delivering substantial results, she develops and implements solutions to business challenges within smaller, focused organizations and within Fortune 500 multi-national corporations. In addition to her activities as a CEO and advisor to companies on strategy and execution, Joan shares her experiences in keynotes at universities and in the professional community on key strategies for personal and organizational growth and with a social media community of over 175,000 via Twitter, LinkedIn, Facebook and the CorePurpose Blog. In recent years she has served as President of the National Speakers Association/Arizona, Chair of the Board of Advisors to Parenting Arizona, the state’s largest child abuse prevention organization, as a member of the Executive Committee of the Industry Advisory Board for the Thomas and Joan Read Center at Texas A&M University, on the Board of Directors of the Arizona Technology Council and as Treasurer and Board Member for Ribomed Biotechnologies, Inc. in Carlsbad, California. She is the author of Connecting Resources—A Primer for Electronics Distribution and Working—a Management Tale of Changing Relationships in Changing Times as well as numerous articles and audio programs for the business community. In addition, her experiences in the evolving world of social media are featured in The Social Media Bible (Lon Safko, John Wiley and Sons) and The ROI of Social Media (Steven Groves et al, John Wiley and Sons.) Joan holds an MBA (2000) from the W. P. Carey School of Business at Arizona State University and a bachelor’s in economics from the University of Delaware.